One of the features of this morning was a big movement of hirundines with at least 6000 House Martins and 1150 Swallows passing through. Other birds passing over included 12 Grey Wagtails, three Tree Pipits, 230 Meadow Pipits and eight Tree Sparrows. Grounded migrants were fairly scarce with a Firecrest of note along with 60 Chiffchaffs and 18 Blackcaps. Two Great White Egrets also flew over area, as did an Osprey which flew east and out to sea as from the ARC Pit as dusk approached. Seawatching produced 188 Brent Geese, 24 Wigeon, a Pintail, the first Red-throated Diver of the autumn, eight Arctic Skuas, a Mediterranean Gull and 865 Sandwich Terns. At least six Porpoises and a Grey Seal were feeding offshore. 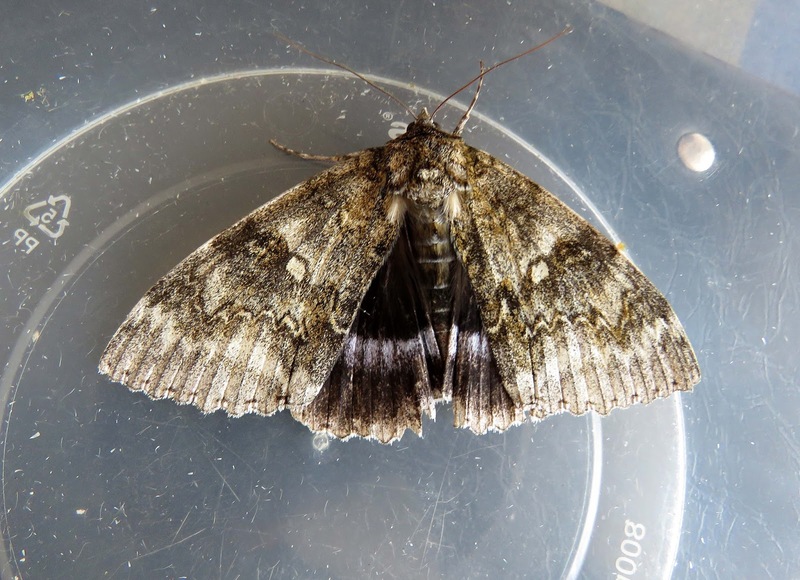 The moth traps were very quiet but visitors to the Observatory were still treated to a close-up view of this spectacular Clifden Nonpareil trapped by Gill Hollamby at St.Michaels, Tenterden.